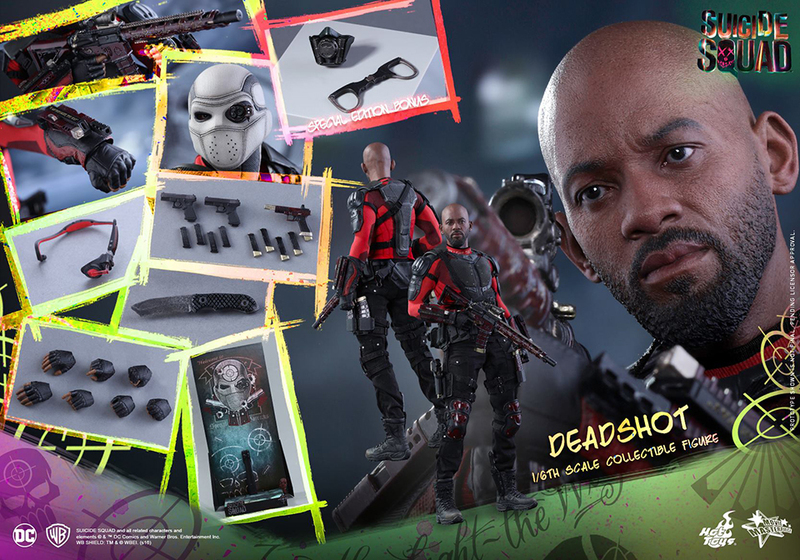 The three biggest stars in Suicide Squad are not easy targets for Hot Toys, but I think they got these ones right. 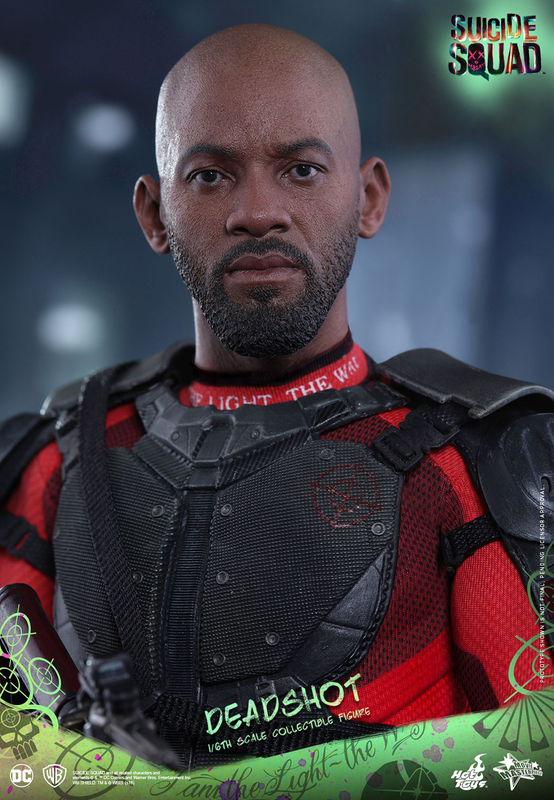 Will Smith’s head sculpt is right up there with Hot Toys’ RDJ, while Margot Robbie’s and Jared Leto’s figures literally look insane. 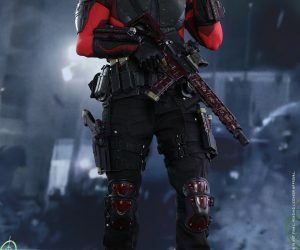 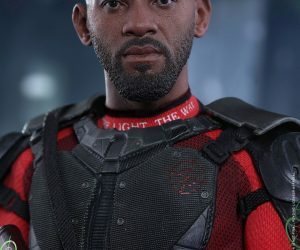 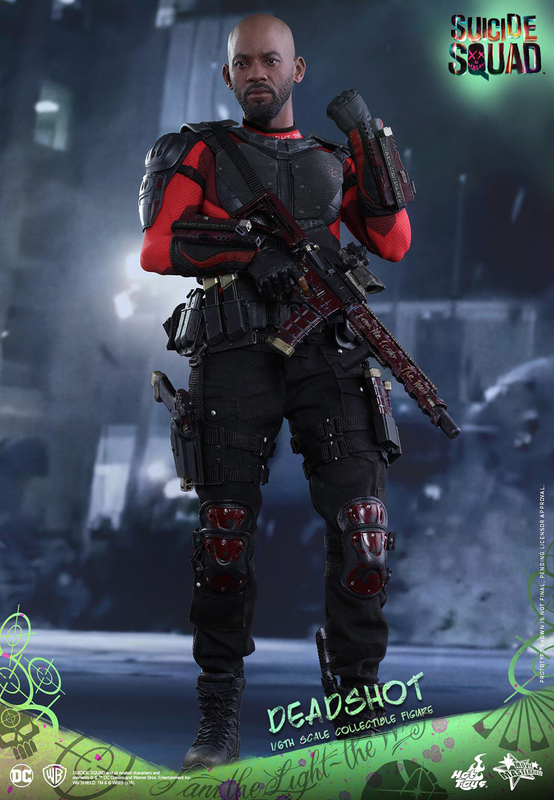 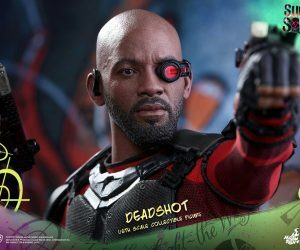 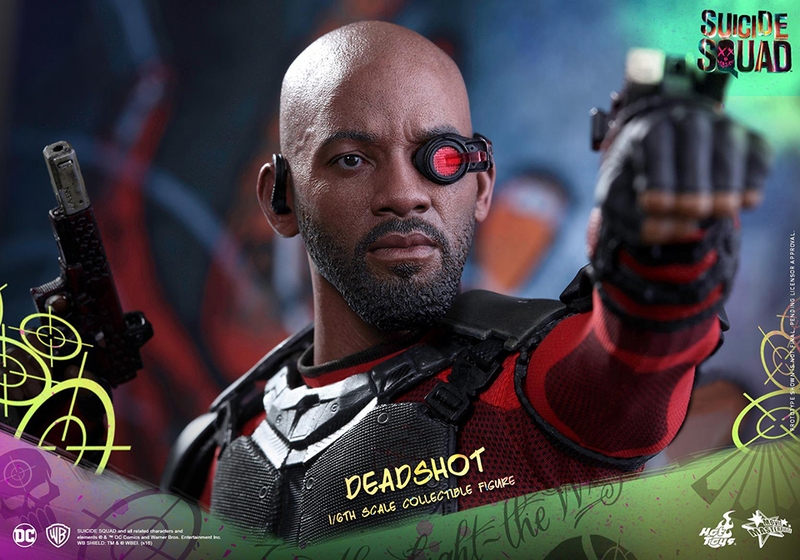 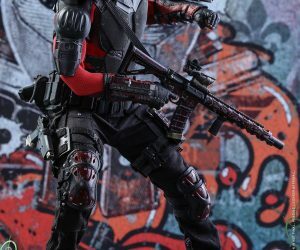 The Deadshot figure costs $245 (USD) and comes with seven hands, a machine gun with three extra magazines, two pistols with four extra mags, a “high caliber” pistol with four extra mags and a dagger. 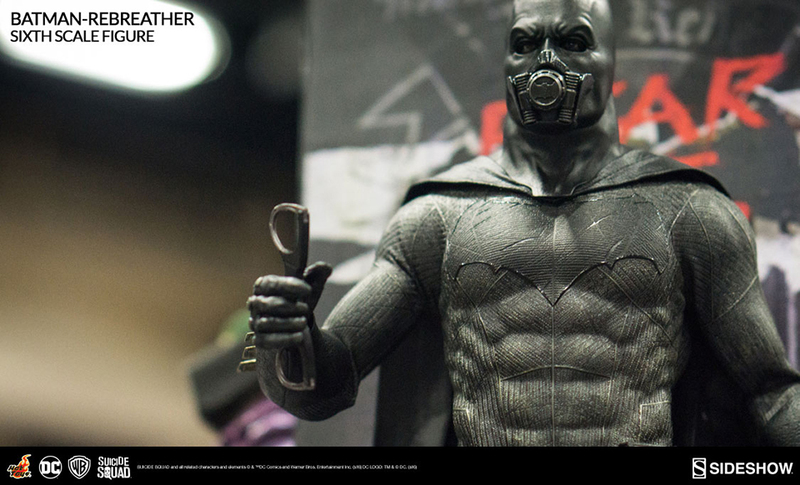 The special edition also comes with Batman’s rebreather and a pair of handcuffs. 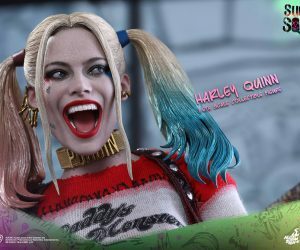 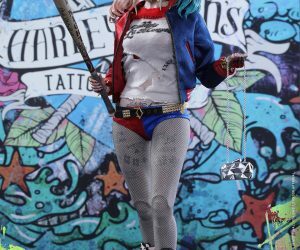 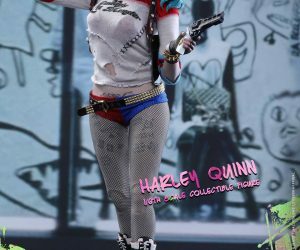 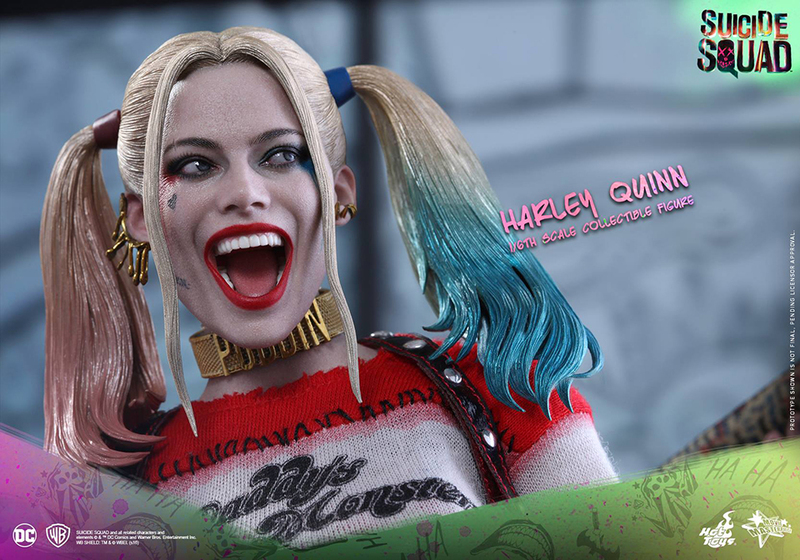 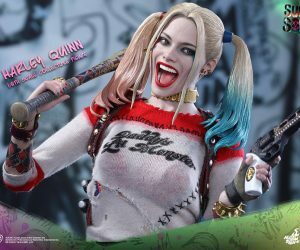 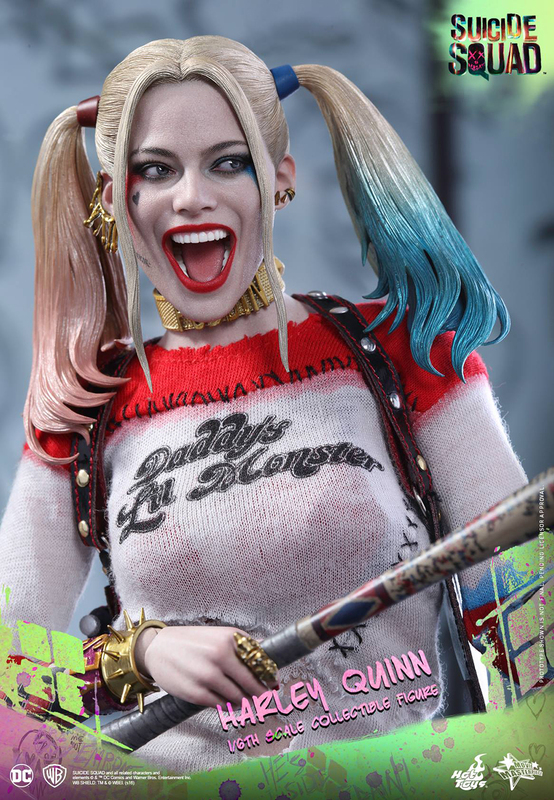 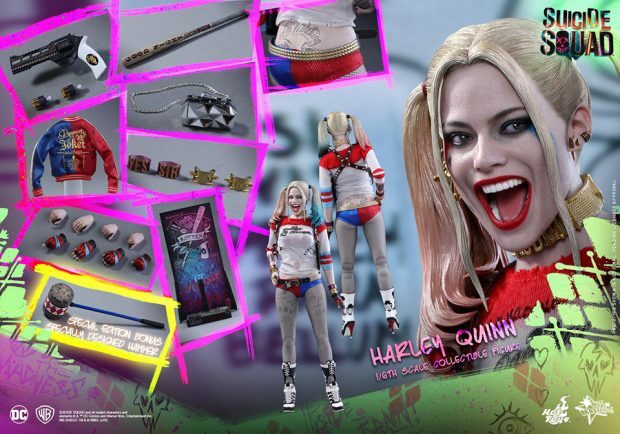 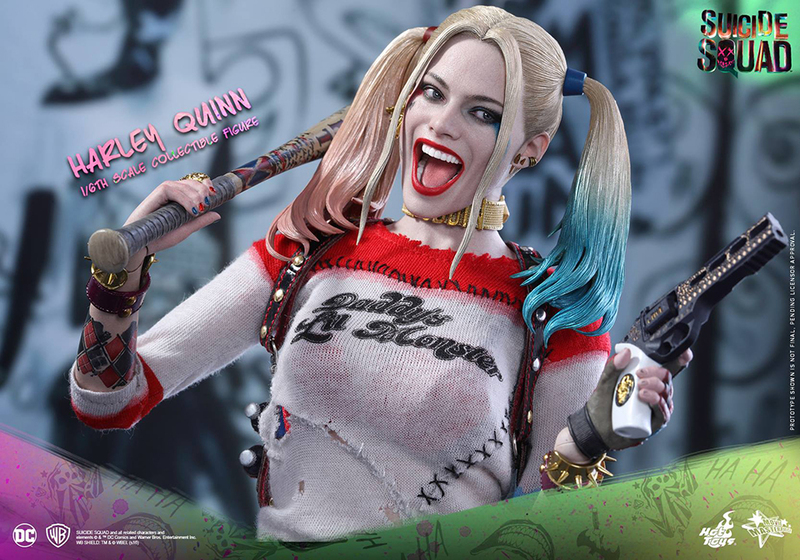 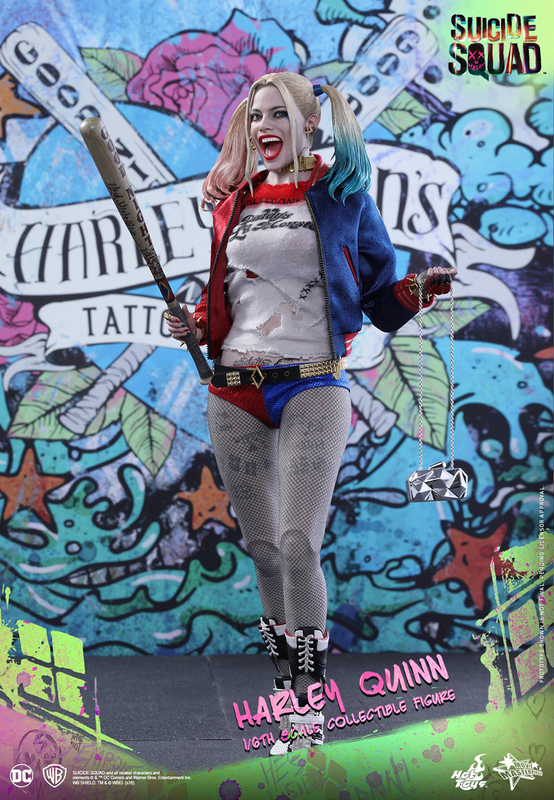 The Harley Quinn action figure will go for $250 and comes with eight hands, a baseball bat, a revolver with two ammo loaders and a handbag. 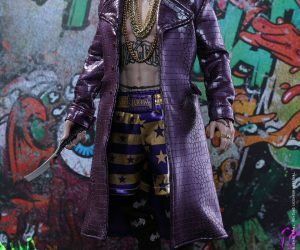 Its special edition comes with a hammer. 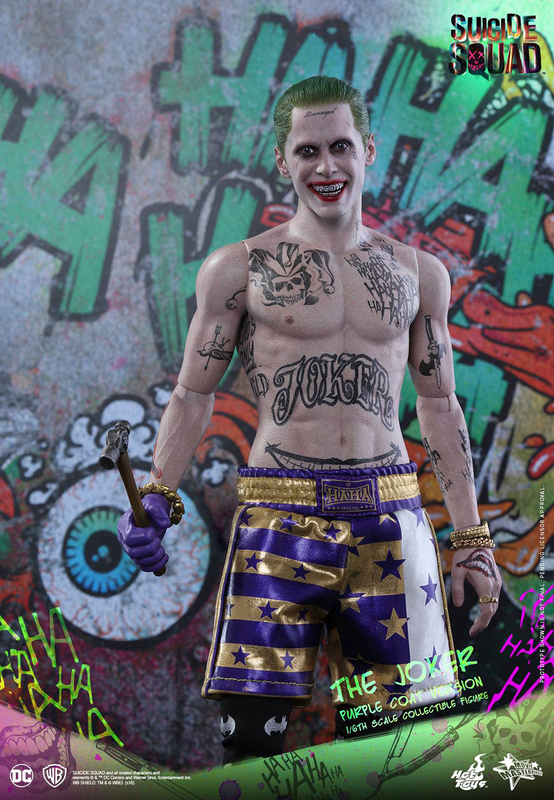 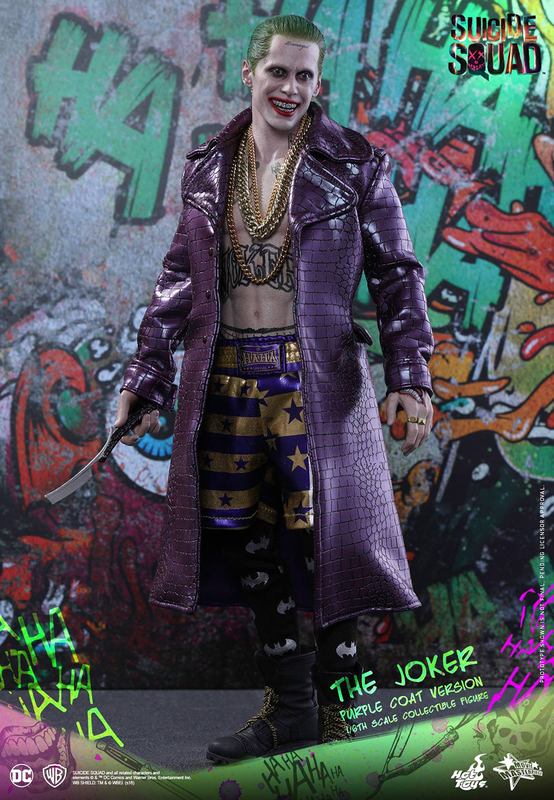 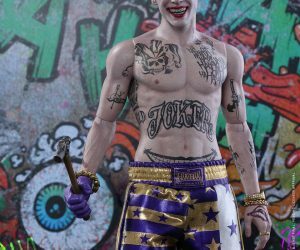 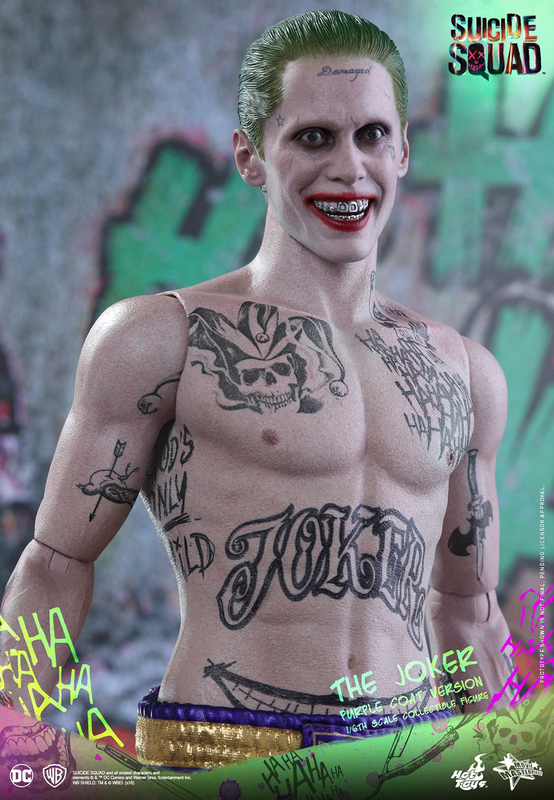 Finally, the Joker action figure also costs $250 and comes with nine hands, a Joker pistol and all of the tattoos in the world. 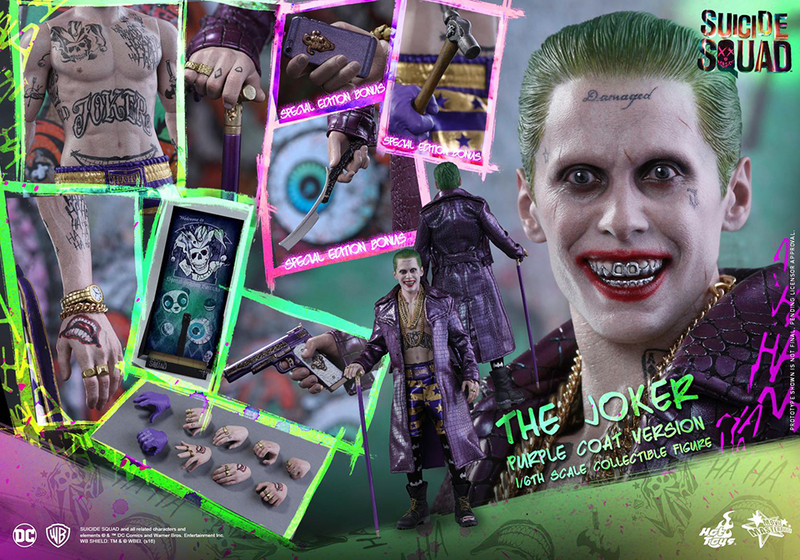 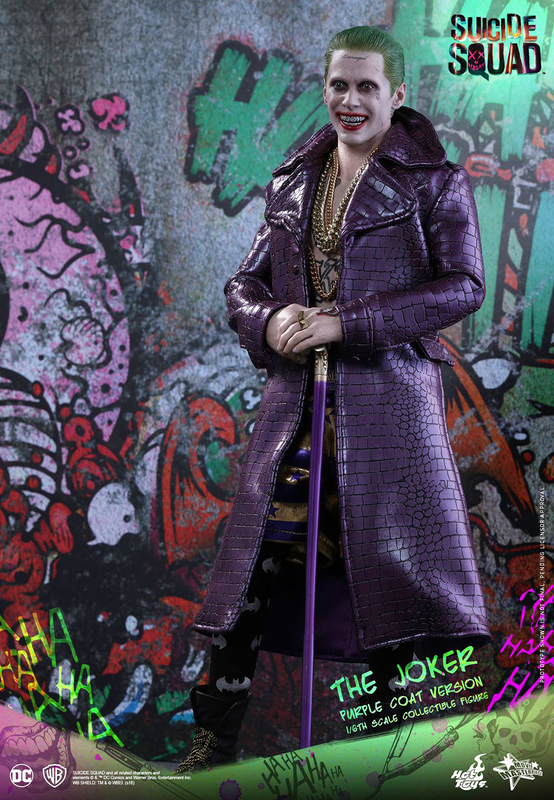 Its special edition comes with a Joker-themed smartphone, a hammer and a razor knife. 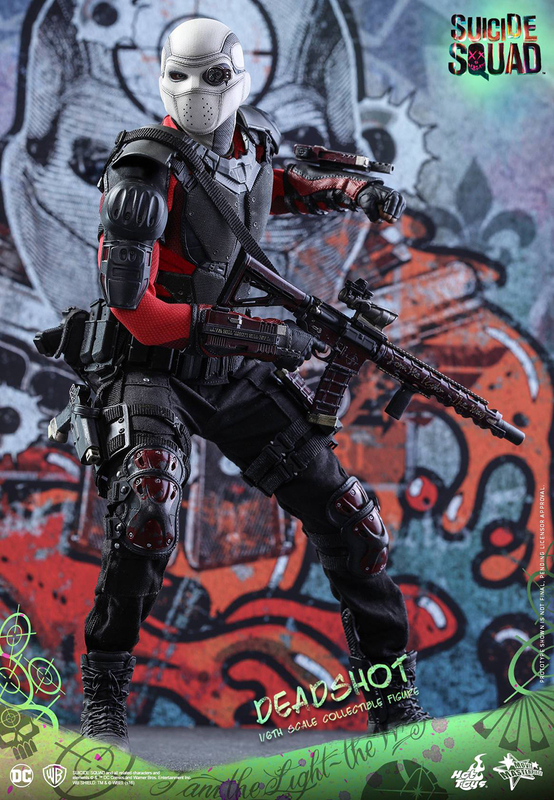 You can pre-order the figures from Sideshow Collectibles, which also has a sneak peek at Hot Toys’ Suicide Squad version of the Ben Affleck Batman. As you may have guessed, it looks a lot like the Batman v Superman version except with a rebreather and muscles.